The 81-90-08 Illuminated Magnifier is easy to use, lightweight and a convenient 2" x 2" size with an acrylic 2X/8 diopter lens. 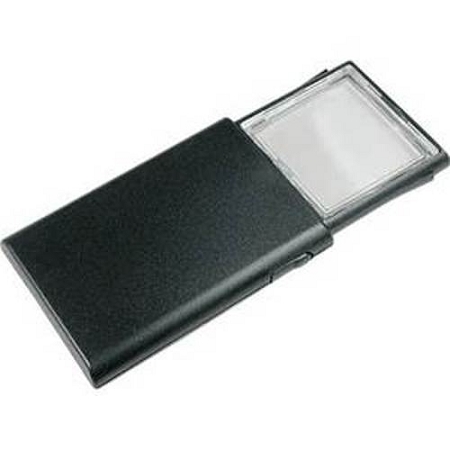 Ideal for low light conditions, this convenient sized magnifier will fit right in your pocket, purse, briefcase or desk. To use: Push side button to release the lens, push again to work the light. After use simply push the lens back into the protective case. Each Illuminated Magnifier requires (2) AAA batteries which are included.